The last weeks of Tone’s current incarnation are like a tasting plate of the kinds of interesting and underground shows that have made the venue so great, from poetry slams and local launches, to left-of-centre touring internationals. On Sat 27 Aug don’t miss the launch of Astral People where the only Australian signing on Stones Throw, Jonti, will be joined by IDM trio Bon Chat Bon Rat, Melbourne experimental pop wonder Wintercoats and Sydney beat makers Albratross. On Wed 31 Aug catch Caravan Slam in all its poetic glory; on Fri 2 Sep, pay tribute to classic 60s girl groups on the dance floor at Twist and Shout; and on Thu 8 Sep, check out the new line-up of minimalist pop outfit Songs. Brainfeeder boy and experimental hip hop producer Samiyam will be putting on one helluva show on Sat 10 Sep, and on the following night, Sun 11 Sep, Detroit hip hop MC Elzhi will deliver a huge helping of live swagger. This is but a mere sample of the shows taking place, so head to the Tone website for the full programme. In the meantime, Peterson and the team are on the hunt for a new Tone home (and parking place for that incredible sound system). 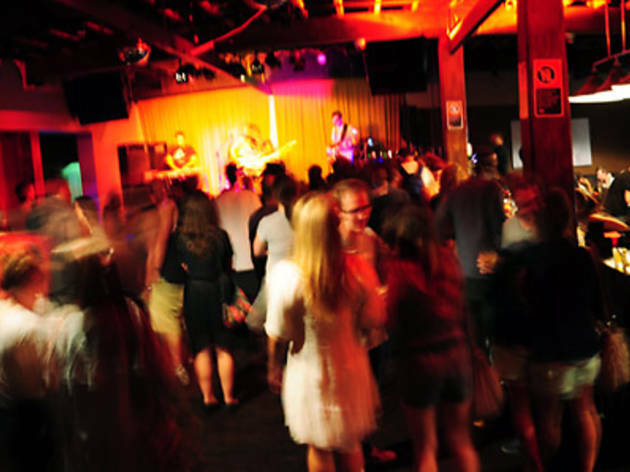 “We are desperately searching for a new venue, but it is proving extremely difficult given the City of Sydney’s freeze on late liquor licenses,” says Peterson. Let’s just hope that the Tone crew are able to land the late liquor licence they need to keep Tone rolling out the good times. Review: It's no secret that Sydney lacks the nightlife diversity of cities like New York, Berlin and London. We've got fewer clubs, a smaller dance music following, and it's a helluva long way for international DJs to travel to drop a one-off 2am set. 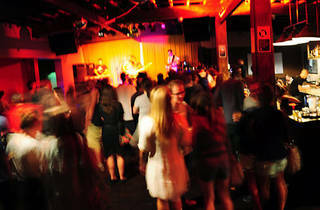 There are some niche live music venues such as GoodGod, 505 and Spectrum that are perfect for local acts, and there are huge venues like the Forum and the Metro with great sound systems for mainstream touring DJs, but for underground international DJs, Sydney doesn't, unfortunately, have much to offer. Enter Tone, a 300–400 capacity venue with a seriously bass-heavy sound system and an underground music policy. The venue has been open for eight months and has already made a big impression on the city's clubbing culture. Owner Ben Peterson, who has worked closely with underground touring companies, had been in the market for a venue of this size for some time. "Sydney was really lacking this kind of space," he explains. "There's the Civic and GoodGod, which hold 200–250, and then it jumps right up to the Basement and Oxford Art Factory, and there isn't really anything in between." This gap meant that some smaller capacity venues were needing to charge between $50 and $70 per ticket, because the acts weren't quite able to sell out a 500–600 capacity gig. Peterson has nailed the solution: double the capacity to 400 and punters are paying just $30 on the door. So what does your $30 get you? "We do everything from future beats to techno, hip hop, funk and indie – anything that is pushing the boundaries and that you wouldn't hear at a mainstream festival," Peterson says of Tone's music policy. "It is difficult to get a lot of those acts to come out here, so it's good to have a venue that's known for just those kinds of gigs." The venue that was once Mars Lounge, and many moons before that a 1920s textile factory, still has high ceilings with exposed wooden beams, the original factory floor and now an underground industrial fit-out to complement its music. The walls are currently adorned with Banksy prints and a mural by local graffiti artist Ears, and Peterson has begun to commission other local street artists including 2026 to get to work on the others. There's also been a little DIY maintenance of late, with Peterson soundproofing every inch of the club in accordance with their recently granted 5am licence. "Bass is like water. It can seep through every little crack and we're on a trial basis for the new licence," he explains. "Once we've sorted out the soundproofing, we've got lots of late night house and techno after parties booked." These will be added to an already impressive catalogue of events including Stones Throw signing Dâm Funk, psychedelic hip-hopper Edan the Deejay, Detroit MCs Phat Kat and Guilty Simpson, dubstep super nerds Benji B and Mark Pritchard, a huge swathe of local up-and-comers, and regular niche nights Gallery Burlesque and Twist and Shout. With plans and council approvals afoot for an outdoor deck on Wentworth Avenue, and promoters scratching at the door for stage space, Tone is certainly a venue you should get to know. If you haven't already visited, we strongly recommend doing so pronto.